HA NOI (VNS) — The country exported 3.05 million tonnes of cassava, worth US$951 million, in the first eight months of the year. However, the volume of exports to Japan and Taiwan grew 10 times and 64 times, respectively, posting the highest level of growth. Nghiem Minh Tien, vice-chairman of the Viet Nam Cassava Association, told Hai Quan (Customs) newspaper that the average export price of cassava remained about $420 to $430 per tonne and was relatively stable. In the past few years, Viet Nam's cassava exports faced fierce competition from Thailand as that country provided subsidies to the product. However, that policy was scrapped as Thailand's baht was devalued against US dollar, making Viet Nam's cassava again competitive. He said 80 per cent of the country's total cassava exports this year would be shipped to China, adding that too much dependence on the market has been the shortcoming of the sector. In addition, low productivity will also make the sector less competitive. The cassava sector has an average productivity of 17.6 tonnes per ha, which needs to be increased to 25 tonnes per ha. Businesses should link the areas cultivating the raw material to production to increase productivity, Tien said. 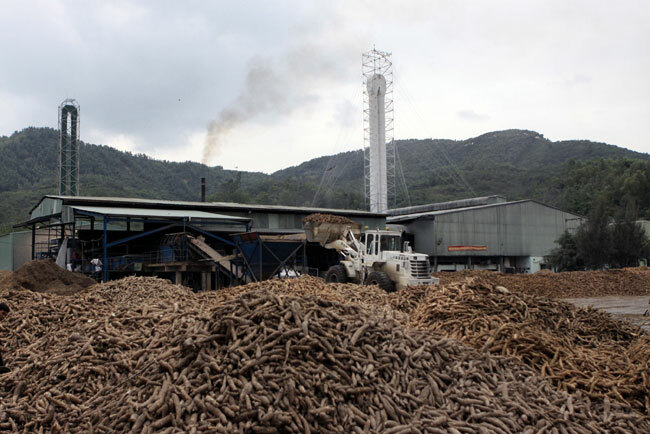 Vietnamese cassava is exported to several markets such as Japan, South Korea, the Middle East and Malaysia. In the future, Viet Nam plans to head to the United States and the European Union. The vice-chairman said the export potential of cassava was large and the sector aimed for an export turnover of $2 billion by 2020. The association has co-operated with the science and technology ministry to build quality standards for cassava cultivation. The standards will follow the criteria of the Food and Agriculture Organisation (FAO) to penetrate strict and demanding markets. He said the economy has integrated deeply with the world market through free trade agreements that could help the sector as tariffs would not be a barrier. The association has implemented trade promotion activities to reduce dependence on the Chinese market.